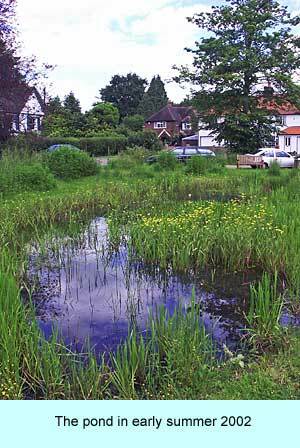 In 1997, the World Wide Fund for Nature set up a national pilot scheme to re-establish lost village ponds and Mayford was chosen as one of the first ten villages to take part. This site records the development of a once-lost village pond. Fascinating and inspiring. A fairly light-hearted article about energy-saving CFL lightbulbs and how, apparently, women in the US resist using them in the home. On a personal note, I do my best to cut down on energy use, but I absolutely loathe the light emitted by these bulbs. It sets me on edge and irritates me so much that I can’t stay long in a room which uses them without wanting to leave it (or hit the other inhabitants…). I find it is also a pretty potent migraine trigger. I’d be interested to hear from anyone who either loves or hates these bulbs. The oceans are gradually turning into a vast “fizzy drink”, a transformation that could be catastrophic for ocean life. Levels of carbonic acid are increasing at a rate one hundred times faster than the world has seen for millions of years. The cause is the ever-increasing level of CO2 in the atmosphere. The oceans are naturally alkaline but, since the industrial revolution, the sea surfaces have been turning ever more acidic. If CO2 emissions continue at current rates then by 2100 the pH of the sea will fall by as much as 0.5 units from its current level of pH 8.2. The pH scale runs from 1 (acidic) to 14 (alkaline), with 7 being neutral. And in the case of the oceans, the change would be effectively irreversible. The sea life expected to be worst hit include organisms that produce calcium carbonate shells, as these are harder to form in acidic waters. That means that corals, crustaceans, molluscs and certain plankton species will be at risk. …………. The article gives a bleak picture of the future of the oceans if CO2 emissions are not hugely decreased. Millions of conifers and other non-native trees are to be felled in the next 20 years to regenerate indigenous trees in England’s woodland. Oak, ash and beech will be encouraged to naturally seed and regenerate. The Forestry Commission and The Woodland Trust will be the major organisations involved. The policy, called Keepers of Time: A Statement of Policy for England’s Ancient and Native Woodland, will see more wooded areas created over the next two decades. Some of these will be aimed at buffering or linking existing woods. Ancient woodlands that were converted to plantations in the last century will undergo a major programme of tree felling and thinning. The UK government is trying to encourage more people to recycle their waste and reduce the UK’s waste mountain. Figures suggest 60% of all household waste could be recycled, but the UK appears to be reusing only 14.5%. Athens has what is believed to be Europe’s largest recycling plant, built next to the landfill four years ago. But the plant – estimated to have cost at least 75m euros (50m) – has stood idle. The reason? It was badly damaged by a mountain of rubbish which collapsed on top of it. Most of us slag off the UK government’s attempts to protect the environment. The defra site outlines the aims quite extensively. Our aim is to protect and improve the environment, and to integrate the environment with other policies across Government and in international fora. Effective protection of the environment requires activity on many wide-ranging different fronts – for example, from acting to limit global environmental threats (such as global warming) to safeguarding individuals from the effects of poor air quality or toxic chemicals. It is one of the four objectives of sustainable development. Actions to protect the environment also produce benefits such as housing (through improved energy efficiency of buildings), social progress (through action to combat fuel poverty) and economic growth (through more efficient use of resources, such as re-use, recycling and recovery of waste).